Allegro also offers 4 different ducting diameters, 8”, 12”, 16” and 20” in 15’ and 25’ lengths for static conductive environments. This lightweight and retractable duct is designed for maximum air handling capabilities with dual direction flow and low friction loss, while providing a safe positive means of discharging static build-up. Single ply, designed with vinyl and polyester materials and a neoprene coating, create a temperature resistance up to 250°F. 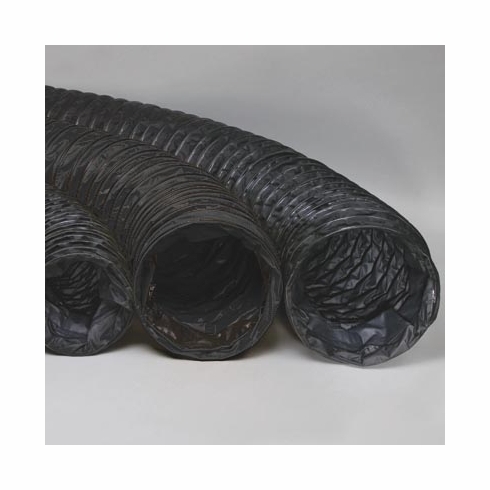 This ducting is integrated with extended solid grounding wire at each end. It meets ASTM Specs and UL-94-VO requirements. It is rated to 1000,000 OHMS or less per square inch.